Fall has come to a close and winter is setting in. It looks like it’s going to be a cold one. If you have a wood burning stove, you’ll know how important it is to get quality firewood to keep your home toasty for the winter season. You’ll also know how pricey firewood can be if you’re not smart about what you buy and who you buy it from. If you’re not an expert on firewood, you’re probably wondering what the best type of wood is to use. That’s why we’re here. As experts on all things wood, we prompt you to use kiln dried logs. Kiln dried logs are great for use inside the home whether it’s for your fireplace or pizza oven. You might be thinking, is there really a difference? Absolutely. What we find is that most of our customers are astonished by the heat payback from the kiln dried logs and rarely returned to just seasoned wood. When logs are force dried in Kilns their moisture percentage is lowered to around 20% which creates the perfect balance of heat and sustainability. 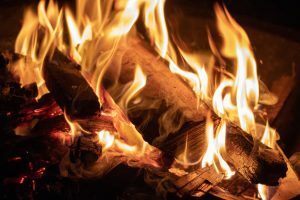 Opposed to regular firewood, kiln dried logs tend to create a lot less soot while burning for longer with less cracking and sizzling. 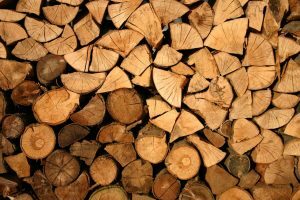 Regularly seasoned logs will still get the job done, but you will find yourself going through a lot more of it and not being as ple ased with the level of heat. Kiln dried logs are not the cheapest on the market, however, they are easily the best value for money. A well seasoned piece of kiln dried wood is going to burn for longer than your average alternative with noticeably better heat payoff. At Butlers, our kiln dried logs are offered in packages varying in quantity and price. We also offer alternative season logs that have not been kiln fired. Once you have your wood for the season, it can be a massive pain having to stack the logs in a way where the pile doesn’t tumble every time you remove a log. Don’t worry, we’ve got you covered. In addition to our many different log packages, we also offer a wood stacking service.